Director of photography Vincent George Cox ASC, SASC passed away in Johannesburg on July 30, 2017, at the age of 84. One of only three ASC members to permanently reside in South Africa, he was not only a supremely talented cinematographer but a remarkable innovator and pioneer who helped forge an industry on a continent during changing and challenging times. Born in Johannesburg on October 17, 1933, Cox was educated at King Edward VII school before joining the film processing labs and then the camera department at the Killarney Film Studios of African Film Productions in Johannesburg in the early ’50s. He worked as a gofer and then as clapper-loader and focus puller on many feature films, including some of the studio’s early Afrikaans language productions, some of which were the first to be shot in color. In the mid-’50s, Cox went to England to gain further experience in the industry and worked in uncredited roles as loader and focus on such productions as the director Roy Ward Baker’s Titanic disaster film A Night to Remember (1958), working under Geoffrey Unsworth, BSC. He also worked on filmed TV series including The Saint and The Adventures of Robin Hood. After returning to South Africa, Cox freelanced as an assistant cameraman and operator on numerous productions, including Satanskoraal (Satan’s Coral) in 1959 for legendary local producer/director Jamie Uys (best known for The Gods Must Be Crazy). In 1962, Cox returned to the U.K. to expand his career and worked on a variety of feature films and television shows before returning to South Africa in 1965, where he got his first credit as director of photography on the drama-comedy King Hendrik for director Emil Nofal. This led to a long and productive relationship with Nofal and with Jans Rautenbach, two of South Africa’s outstanding directorial talents at that time. Some of the films he photographed for Rautenbach during this period included the romantic adventure Wild Season (1967), the political thriller Die Kandidaat (The Candidate; 1968) and the sophisticated sociopolitical drama Katrina (1969, which remains a classic of apartheid-era South African cinema. Die Kandidaat was a showcase of Cox’s extraordinary gift for creating mood with low light at a time when film stocks and lenses were slow and unforgiving. He invested in his own equipment and used his immaculately restored Mitchell NC camera in a Raby blimp to shoot numerous features during the 1960s and ’70s. A stickler for all things mechanical and optical, he loved engines, lenses and precision-engineered equipment — a passion that he extended to restoring vintage cars, boats and aircraft. He held a private pilot’s license and often flew the skies of Africa in his own beautifully maintained Tiger Moth and Chipmunk biplanes. During the 1970s his skills and talents were noticed by producers and directors from London and Hollywood and he was engaged to shoot many international productions locationing in Africa, beginning in 1970 with Creatures the World Forgot for director Don Chaffey. This led to international features such as Killer Force (1976), Zulu Dawn (1979), Flashpoint Africa (1980), Space Mutiny (1988), Rage to Kill (1988), Act of Piracy (1988), Any Man’s Death (1990), Terminator Woman (1993), The Secret Force (1995), Legend of the Hidden City (1997), The Last Leprechaun (1998), Merlin: The Return (2000), The Sorcerer’s Apprentice (2001), Hotel Rwanda (2004), The Raven (2007), Gallow Walkers (2012) and many more. Always cool, calm and collected under the most adverse circumstances, Cox’s friendly disposition and reassuring smile were a calming influence on both cast and crew. Among the scores of films and television productions he worked on —including during an extensive period in Hollywood during the mid-1980s — he photographed eight features for director David Lister and five for Paul Matthews. Cox is survived by his second wife, producer Debi Cox (nee Nethersole) and four children: Vinca, Gitta, Lars and Macaire, all of whom professionally entered the industry. This remembrance was submitted by Los Angeles-based Lionel Friedberg, a personal friend and associate of Cox. 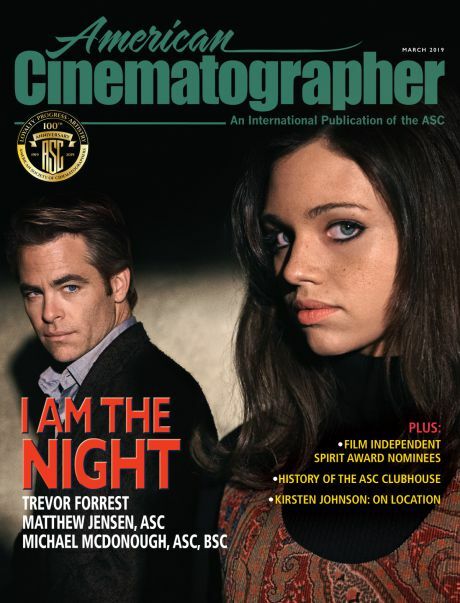 Friedberg is also an Emmy Award-winning cinematographer, producer and New York Times bestselling author. Great Expectations. I was at King Edward VII preparatory school, and we were studying the book. In my opinion, the picture was almost better than Charles Dickens’ novel. Guy Green, BSC won an Oscar for his work. I subsequently worked with him on The Sea of Sand, which he directed, and some years later, we met up again at an ASC dinner and reminisced for a long time. I have looked at 100-year-old photographs that are as alive now as they were when the shutter clicked. Chemical photography is tactile, and various people can use the same materials and get totally different results. This is what separates the men from the boys. The thinkers can create a subtler image than more commercial users. Where did you train and/or study? In my youth I probably had some illusions of grandeur, and began as an architecture student. Sadly, my father passed away, so I got a temporary job in the lab at Killarney Film Studios to get my mother and me over a rough patch. One day, whilst I was printing copies of the J. Arthur Rank picture The Sea Shall Not Have Them, the studio needed a loader on a feature that was in production, and pressed me into service. Forty or so years later, I am still out here, striving to make the ultimate film. Battleship Potemkin and films of that era impressed me very much. How could they create such dynamic images in 1905 and earlier, when we were producing such ordinary material 60 years later? Then there was Billy Bitzer, an energetic thinker who was the first to use so many techniques that are staples of our work today. Watching the world go by. There’s so much going on out there. There will always be a time when you have to delve down into your subconscious to find a different way of handling a sequence or devising an unusual look. It all depends on how you see an ordinary event and then translate it to film. I did not break into the business, I tripped and fell, and rather like a duckling takes to water, I swam. Life can be kind. My first decent break came with the Hammer House of Horror. Michael Carreras had seen some of my earlier pictures and decided to have me shoot Creatures the World Forgot in Namibia, with Don Chaffey directing. They probably locked in on me because I was young, innovative, energetic and able to withstand 120°F out in the world’s oldest desert. I was probably transfixed by the gorgeous Julie Edge! Sometimes gratification comes in strange guises. For me, it is being asked to do the next picture because they liked my work on the last. Everyone does sooner or later. 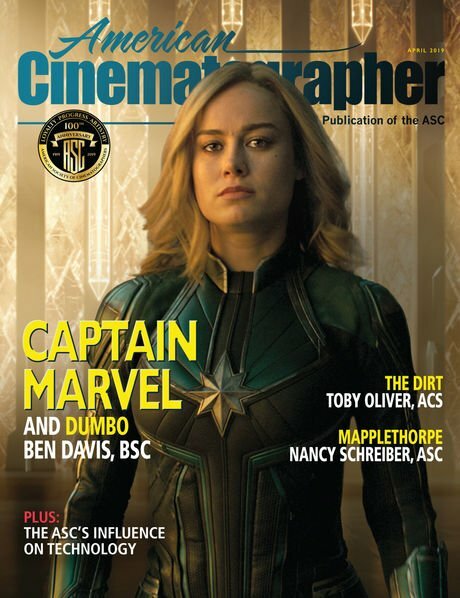 When I was a focus puller, I worked with a director of photography who shall remain nameless, who insisted that if we moved any distance, I should take the mag off the camera. Well, one day I put the mag back on the Mitchell and didn’t lace up. We shot half a roll before the penny dropped. Not my best day. I have directed features and have lately read some very suitable material. In terms of current inspirational material, [fellow ASC member] Vilmos Zsigmond’s work in The Black Dahlia is a good example of film noir. I have always been a Western fan and in search of a Western needing a new look. 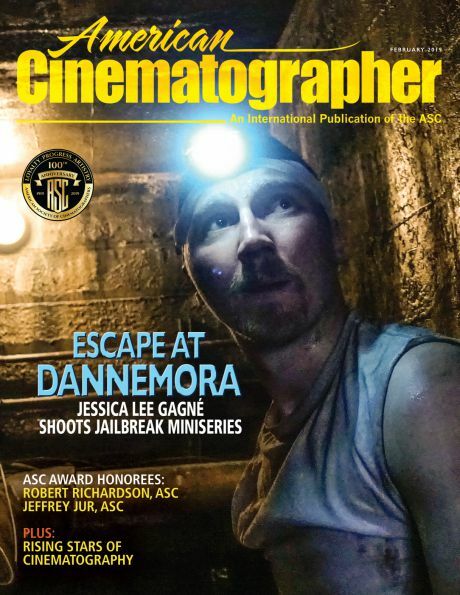 I believe that in Gallow Walker, shot by Henner Hofmann, ASC, we have achieved this. I am very good at low-key, moody lighting and would like to apply it to a psychological drama or a good period mystery. I’d be an architect or a mechanical engineer. Time obscures the vision a little, but the names that come to mind are Eric Horvitch and David Millin. The ASC is a most prestigious society. 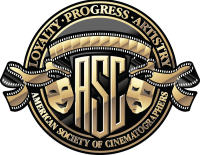 I have made many lasting friends there, and the ASC has helped me feel a much more recognized person in the industry worldwide.